Easy No-Sew dining slips from a pillow case by Momtastic. 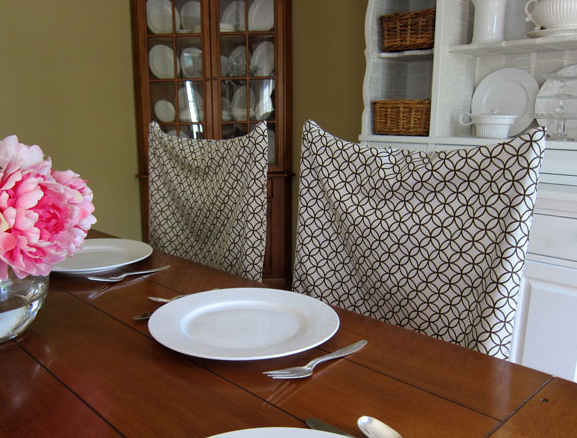 Jackie from Teal and Lime made a pair of gorgeous slipcovers from a Target table cloth! 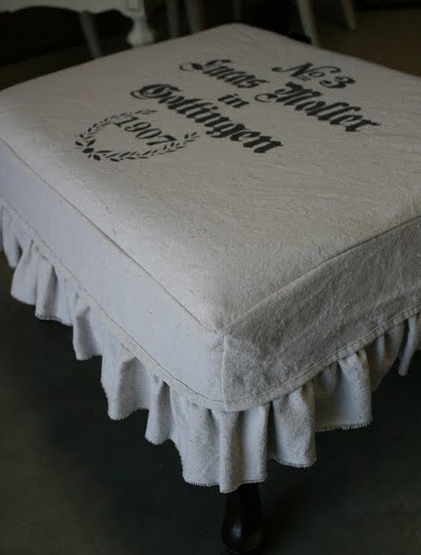 Amanda from Reloved Rubbish slipped this ottoman with stenciled german flair! 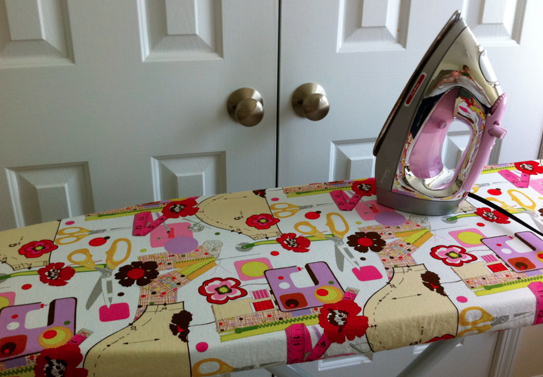 Leah from Sew Spoiled made this cute slipcover for her ironing board and she has a tutorial! AND her iron is pink yall! Slips are not just for furniture…why not cover your burnt on ironing board? Thanks for the feature. These were my first real slipcovers and now I want to make more. I will definitely be following you for more inspiration. I'll have to go look at these blogs to get some MORE ideas. I really want to slipcover but just haven't got up the nerve yet! These look great! Love the fabric choice especially – chic yet fun. Love the tablecloth chairs!!!!! Great work, good finds!!! 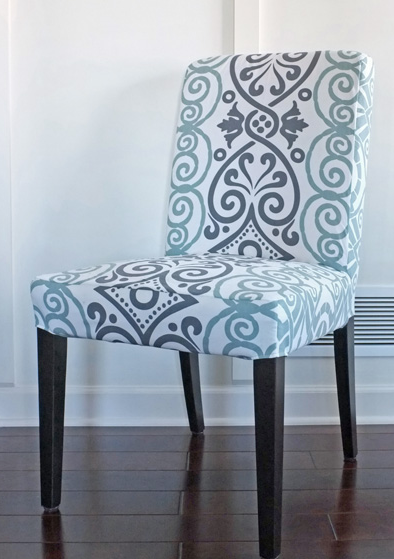 Thank you so much for featuring my ottoman slipcover! I grabbed your button for my blog and I am your newest follower. I hope you’ll keep on blogging…This one sounds good..